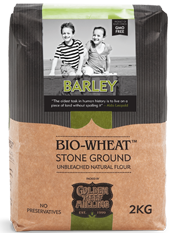 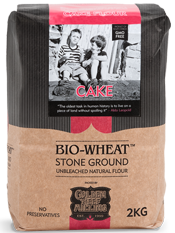 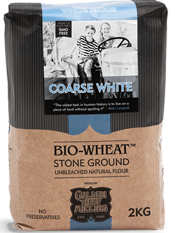 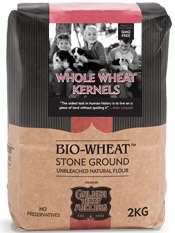 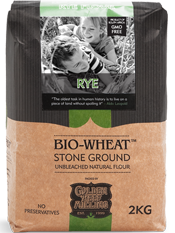 BIO-WHEAT™ Wholegrain flour contains the whole wheat kernel; only milled and in a packet. 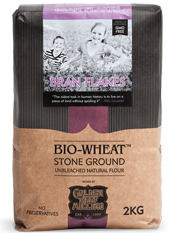 In addition to the endosperm, BIO-WHEAT™ Wholegrain contains the wheat germ and all the bran. 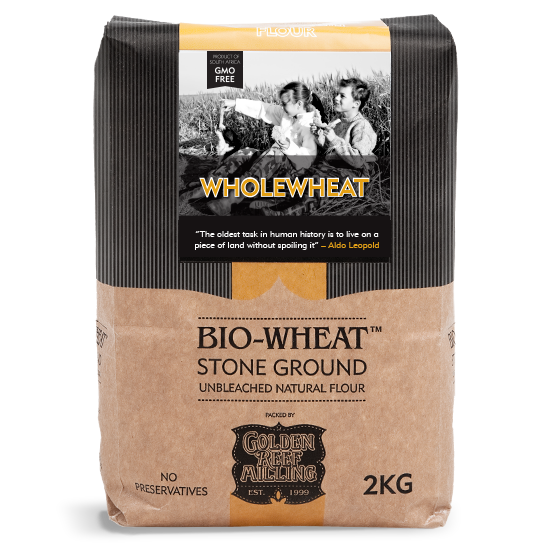 Because of all the fibre goodness, bread baked with wholegrain flour will be full flavoured and very healthy. 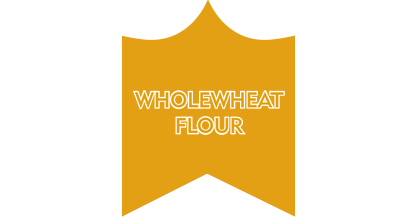 You can be sure that nothing has been added or removed.